We provide scholarships to individual students. 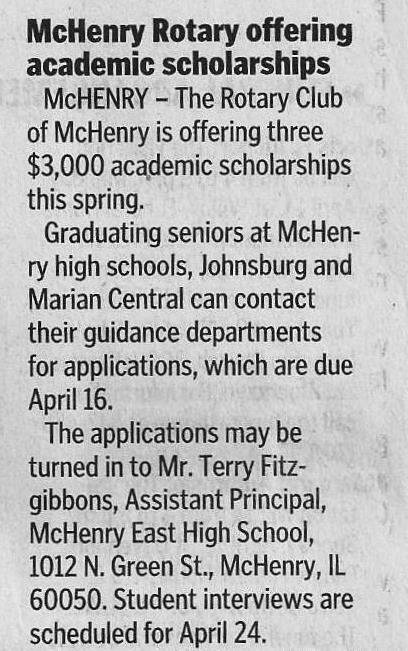 All graduating high school seniors who are legal residents of McHenry School District 156 or Johnsburg Community Unit School District 12 are eligible. This includes both public and private school students. 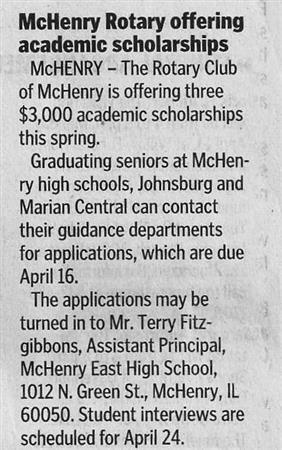 The current schools to which this pertains are McHenry High School (East and West campuses), Johnsburg High School and Marian Central Catholic High School. Marian Central students compete against students from the tree public schools and are assigned to one of the three based on where they live.